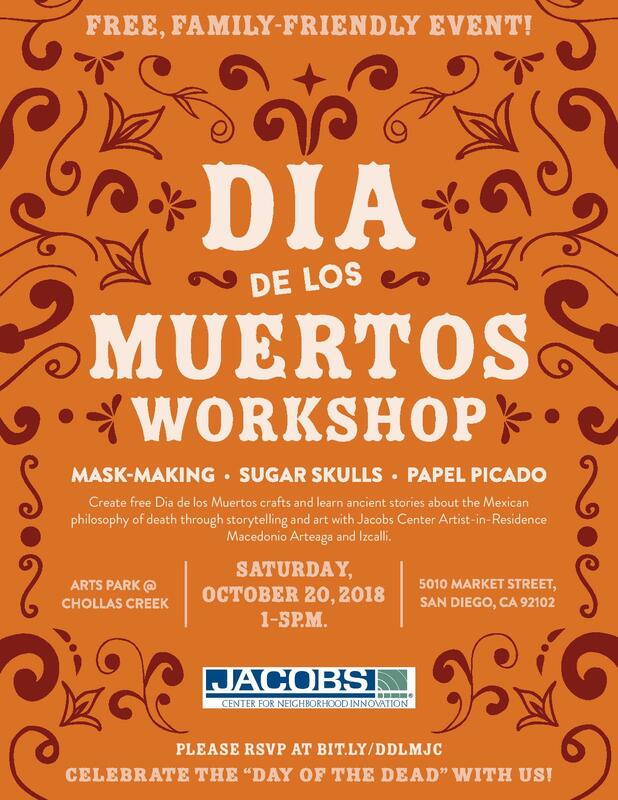 With the renovation of the Arts Park @ Chollas Creek, Jacobs Center hopes to create more neighborhood cultural gatherings that bring together artists in the San Diego community. Arts Park @ Chollas Creek offers a variety of events year-round centered around art, design and nature. For more info., visit www.jacobscenter.org. This event is FREE and open to the public. To RSVP, visit http://bit.ly/DDLMJC. Check out our segment on The CW San Diego to learn more. I was reaching out to you in regards of the Dia De Los Muertos event taking place on the 20th. I’m the event coordinator at Greenwood Memorial Park and have participated in this event before. Please let me know if you are still accepting vendor applications. Is this for children or for the public?